2 What Are The Major Buying Considerations? Shopping for a brand new Allergy Air Purifier can seem overwhelming when you start to skim through potential products. It’s essential that you’re getting the most out of any air purifier you bring into your home, not only because of the steep price but also because of the health benefits that will become a part of your life. By choosing to bring an air purifier into your home, whether you’ve had one before or you’re a new buyer, the benefits are unmatched by any other cleaning tool you may have in your supply closet. Minimizing dust, decreasing allergies, and overall making the air cleaner, which will, in turn, make your life healthier in the long term. The benefits you receive from allergy air purifiers are endless and apparently so are the available models on the market as of 2017. When buying anything with a steep price tag online it can be daunting, because it’s not like you try it out for a test run, even more so since an air purifier works better over time, it’s not something you notice right away. It’s an overwhelming task that could take days while trying to gather the proper details. It can be frustrating, purchasing something that you’re not entirely sure if it’s the product for you, but this step by step guide will help ease the process so you no longer have to waste time or stress over something that can be simple and beneficial for your life. 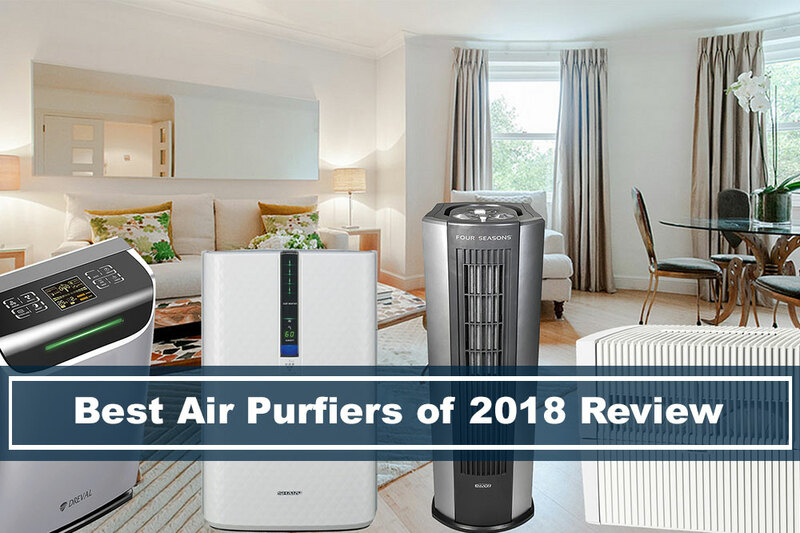 Which is why we’ve rounded up a buying guide for you to quickly look through so you can choose the allergy air purifier that works best for you and your home. We’ve gone ahead and ranked these units so you’ll always get our honest opinion while also making sure you can easily navigate throughout all the products. 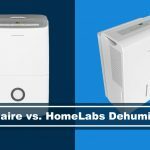 Check this article out to find out the difference between dehumidifiers and air purifiers? Uses A 4 stage purification system that can automatically detect toxins on the air. Uses a True HEPA filter with AeraSafe antimicrobial treatments that safely removes up to 99% of the airborne particles that are likely to cause allergies. Recommended for small rooms, 100-200ft. Has a special mode for cold and flu season. Is especially useful for capturing influenza viruses based on independent testing. The AeraMax 100 is one of the only allergy friendly air purifiers on the market that has Amazon’s seal of approval with the Amazon’s Choice label. This air filter is quite affordable, one of the most efficient and cheapest units on the market right now. It has the most added features compared to any other unit and it looks extremely modern and sleek, perfect for any room in your house. Highlighting one of its best features, we’d have to choose the special mode for cold and flu season. This device makes it easy for you to no longer worry about the influenza virus plaguing your home. Because of this special cold and flu setting, this device will trap the virus and diminish it from your home environment. Keeping your health safe and the health of your family in check. Many customers have reviewed this product in a very positive light, saying that the unit effectively purified a very smelly environment and the smell didn’t return. While other customers have said that they have noticed far less dust in their bedroom and the whole family isn’t sneezing as much since they started using the product. A few customers have mentioned the fact that the product is a bit louder than other versions they’ve tried, but overall they love how it has really worked to keep their home clean and mess-free when it comes to dust, dandruff, and hair. Extremely customizable for any modern home environment with a variety of finishes. Uses a HEPA pure filter. Perfect for those who want to use in a space of 700 ft or less. Extremely quiet when running while still being just as efficient. This product also includes a lifetime warranty. By far one of the most customizable units available. Its sleek design doesn’t take away from the fact that it’s also equally efficient as it is design forward. This air purifier will easily blend into any environment seamlessly, while making sure to make use of the HEPA Pure filter. You won’t have to worry about noise, since this unit is equipped with silent features so you won’t have to deal with a constant hum while you’re trying to work or go about your day. While maintaining a pure home, the Alen BreatheSmart FLEX unit will be able to easily clean your air with a simple push of a button. The FLEX version of the BreatheSmart by Alen offers a bit more economic leniency. While you might be getting less features, you’ll still be getting a high quality product that does its job. Customers have expressed how pleased they are with this unit by saying they have experienced less allergies than normal, feeling like they can go about their lives in a way that doesn’t need to feed any attention to negative health issues they might be dealing with on a daily basis. Others have pointed out that when they first turned on the unit they experienced a strange plastic smell, but after a week of using the product it no longer lingered in their space and the product continued to make sure that the air was as pure as possible. Reduces odor, gases, allergens, with three different filters. Detects even the smallest change in indoor air quality and will auto adjust the fan speed. Shows real time air quality with the color ring and index on the dashboard of the air purifier. Ideal for medium to large rooms, such as a living room. Has the option to be wifi enabled. The Philips Air Purifier 2000 uses a true HEPA filter to help reduce allergens, pollen, dust, mites, mold, and pet dander. This product also has the capability to come with wifi enabled to connect with your smartphone so you can receive air quality reports straight to your phone. You’ll be able to easily use the unit from your phone, even if you aren’t at home. We have yet to see a feature like this on the market for this reasonable of a price. By simply glancing at the Philips unit, you’ll also be able to tell straight away how the air quality in your home is by the light up ring on the front of the device. Many individuals who have invested in this particular product have shown just how easy it was to set up in their home and how they were able to start using the products right away. Others have come forward saying that they have noticed the dust clearing in their air only after 15 short minutes of running the unit in their room! While it might be a bit more pricey compared to other options, many customers have said that they don’t regret making this purchase, and that it has exceeded their expectations. Auto-mode used for small rooms enabled. Available in three different sizes so you can choose your size according to your room. DustSense automatically monitors and responds to all particles in your air. Comes with a color changing bar on the dashboard of the unit to tell you how clean your air is. HEPA media and odor filter is used to capture up to 99% of toxins on the air. Uses a two stage filtration to make sure that your air is always as clean as possible. Comes with a built-in timer for when you’re away from home, as well as an indicator so you know when to clean the filter. The Oreck Air Response uses an abundance of unique and interesting features that make this product stand out from the competition. Not only is this product relatively cheap compared to other choices, it also uses a special feature we’d love to spotlight. The DustSense feature that automatically monitors, detects, and responds to your air in your environment no matter what small change may occur. Plus you can also choose from a range of three different sizes to make sure you’re getting the most out of your air purifier, small, medium, or large. Customers particularly like this product because of how user friendly it is. While this product has all the bells and whistles of any high quality air purifier, it excels in the area of making sure that the user understands exactly what is happening in their home and the air they are breathing. Some customers wished that this product had an LCD screen for stats on the air quality, but after using the product and knowing the colors of the sensor bar on top of the unit, they’ve had no problem using the product. Highly customizable for your design tastes and for any room. Perfect for extremely large rooms up to 1100 square feet. Can purify the air in a large room in under two hours. Includes a lifetime warranty, so you’ll always have years of clean air. Eliminates high frequency sounds when purifying the air so it will always be quiet when running. 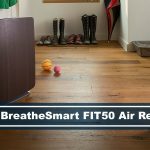 The Alen BreatheSmart is one step up from the FLEX option we’ve listed earlier in this list. While this quality product is still just as good as the FLEX, because of how cheap and affordable the FLEX is, that is the only reason why this unit has fallen a bit short. While the FLEX model is lacking a bit of the additional features that this model comes with, it’s up to you to choose which tier of this product you want for you and your home. Being able to purify your home, up to 1100 sq ft, in under two hours, this product has really made an impact in the world of air purifiers and the customers who have made the investment. Some customers have come forward about a strange squeaking that has started to occur in the unit when it runs for a long period of time, but because of the lifetime warranty you receive with any Alen product, if this ever occurs you’ll be able to replace the product without a problem! True HEPA filtration, captures 99% of toxins on the air. 5 Levels of filtration, although compact, this model provides the freshest and cleanest quality of air in your home. Uses an air ionizer to help eliminate airborne bacteria and reduce static electricity buildup in electronics. Comes with the ability to use UV Sanitation. The SilverOnyx Air Purifier is one of the smallest air purifiers you can get for this affordable price. Not only is it cheap, but it also has a powerful 5 speed fan, which offers more options than most high end air purifiers. This air purifier works best for those who want to effectively eliminate odor, pet dandruff, smoke, gas, and cooking smells that linger in the home. It’s perfect for a 600 sq ft room, and its powerful fan will help clear your air of 99% of bacteria and toxins within an hour of use. A favorite among the community of individuals who have purchased this for their home have spoken out about how effective the unit is and how quiet it stays. While many have said it does make a light noise, it’s been compared to a white noise machine and has even had a soothing effect for some customers who have it in their bedroom. One of the cheapest models on the market as of 2017. Uses UV-C sanitation as well as allergen and odor reduction. Specifically used to eliminate pet dander and other allergens related to pets in the home. Uses a charcoal filter to reduce common odors from pets, smoking, and cooking. The GermGuardian offers a 3-in-1 air cleaning system, with an additional Pet Pure True HEPA filter. For the price of this modern air filter, you’ll be getting all the bells and whistles with your purchase. Using a True HEPA as well as the Pure Pet Treatment, you’ll have a double layer effect with the filtering process, making sure to cover all your needed bases no matter what is floating in your air at home. But there is one feature that stands out above the rest when it comes to this air purifier, which is the charcoal filter. The charcoal filter is used to majorly reduce common odors in the household: pets, smoking, cooking, you name it and it will help not just mask the smell, but also diminish it by breaking down the bacteria in the air and ensuring that you’re breathing in safe and clean air. This has been an amazing feature that customers have not missed, saying that it is one of the reasons they opted for this option regardless of price. While the filter does need to be replaced every 6-8 months, you’ll be making sure that your system is fresh and clean without any doubt in mind, compared to reusable filters. Uses HEPA True filtration at all times. Advanced odor control by using carbon filter formulated to capture offensive pet odors as well as smoke, and cooking. Washable filter which will last much longer than your typical disposable filters. Comes with smart sensors to enable auto-mode. The Winix excels at what it can do, from its advanced odor control to its washable filter, this unit requires the least amount of maintenance while still maintaining a quality standard for long term use. The key feature that comes with the Winix unit is the PlasmaWave technology, used to attack pollutants at a molecular level to neutralize viruses, bacteria, odors, and gases in the air of your home. This is a feature that has not been implemented into many other models and it makes the Winix stand out from the crowd by a longshot. To make this product even more efficient, it’s been created to utilize Winix’s smart sensors, which will make the 9500 unit monitor the air around you without you having to constantly adjust the settings. The air purifier can do everything itself with its special “set & forget” mode. These additional settings have been a favorite for those who are constantly busy, too busy to worry about something that should be doing its job in the first place. While it may be lacking in design, it is without a doubt one of the most advanced units on the market. Filters air 4.8 times per hour in a 500 ft room. Extremely quiet even when running for long periods of time. True HEPA 0.3 micron filtration. 4 Fan speeds, sleep modes, and turbo modes. Whirlpool Whispure Air Purifier filters the air in your room 4.8 times per hour in a 500 sq ft space. This easy to use device might not seem like much, but it’s one of the most straightforward devices on the market and from one of the most trusted appliance brands. By using 4 special fan speeds and also including different options for sleep and turbo modes, there is a setting for literally any kind of need in your home. Rated as a customer favorite, this filter has been a trusted product before it had even come to Amazon. The size of this product has been a concern to many buyers, but after using the product for an extended amount of time, they like that they can stick to one system instead of smaller discrete ones scattered around their home. One of the cheapest air purifiers on the market as of 2017. 360 degree air intake and discharge for maximum efficiency. Surround Seal tech insures that there will be little to no air leaks. Effective for large and extra large rooms. The Honeywell is last on our list, not because it doesn’t do what it’s supposed to do, but because of the dated look and feel of this unit with not many effective additional features. The price is considerably expensive for a cut and dry version of any of the previously mentioned filters on this list. The one feature that makes the Honeywell air purifier unique is its patented 360 degree air intake and discharge that makes sure it’s maximizing efficiency with every single minute it is in use. This is why it’s made it to this list. While it might not rank high, it does offer a 360 design that is different and may offer a solution to what you’re looking for in a simple air purifier. This has been one of the most highlighted features mentioned by customers who have purchased this unit. The top complaint about Honeywell has been the customer service. A customer had used their products for over 4 years, yet they still charged shipping for the replacement, while he did get a replacement “free” he was still left paying for shipping before they even sent out the replacement. While this is minor, it’s important to remember who you’re buying from when you invest in a product such as this, something you plan on using for years to come. What Are The Major Buying Considerations? Odor Reduction in your home is one of the biggest reasons individuals invest in an air purifier. HEPA air purifiers tend to use a HEPA filter that automatically comes with an additional filtration system to help eliminate foul odors. If you’ve noticed that your cooking or a neighbor’s spicy curry dinner creeps into your space from the door, or that your pets are making your home feel musty and stale, an air purifier will help tame all of that unwanted chaos. If you constantly battle with unwanted smells that make your stomach turn, you’re in the right place! What you need is a helpful and efficient allergy air purifier. By constantly improving the flow of air quality indoors, not only will you minimize mild allergies, but you’ll also help those who have asthma. While it can’t cure asthma, at least when you’re inside your home, those who have asthma will be able to breath easier than normal. According to Healthy House, air purifiers can remove the particles and allergens from the air which can trigger symptoms. Making sure that those same particles, germs, and bacteria can no longer enter your lungs and cause harmful damage. Like we said, an air purifier won’t cure ailments, but it will provide some needed relief for those who constantly struggle with breathing each day. If you or a loved one suffers from asthma or severe allergies, it might just be time to invest in a change that will help your quality of life. Without a doubt one of the most crucial reasons individuals invest in a high quality air purifier: pets. Pets constantly shed hair throughout the day and they also emit a special kind of dander that causes allergies and irritations towards humans. While vacuuming does help minimize this problem, unless it’s done two or more times a day, pet dander and hair will settle on every surface of your home, causing irritations to you and your family. By introducing an air purifier into your home you will be effectively eliminating up to 90 percent of the pet dander and hair in your home, according to Blue Air. If you have problems with your sinuses, the dust in your home, or mild pet allergies, it’s time to upgrade your lifestyle with an air purifier. When looking to invest in an air purification system, there are many kinds on the market. There is a type for anything imaginable, but how do you know what kind you need for your home? You need to ask yourself what you have the biggest problem with, if it’s your allergies, stick to a certified HEPA filter with 3 or more stages of quality controlled air purification. If you just have an issue with pet dander and hair, opt for a device that’s simple enough to process hair and dust, instead of purchasing something wildly expensive for issues you aren’t dealing with. Like any kind of tech today, there are varying prices that you should keep in mind. The trick is finding the perfect balance, to where you’re receiving the benefits you want without spending thousands of dollars. Throughout this list we’ve included a wide range of price points for you to consider. They all have their positives and negatives, but it’s up to you to decide what price you’re willing to consider. An allergy air purifier constantly runs to clean and make sure that the air you are breathing is air that will keep your health in check. Everything we do can create dandruff, dust, hair, etc, it all falls in our house as we move around throughout the day. If we live in that filth that we can’t even always see, we’ll be breathing in the same recycled air over and over again. By using an air purifier you’ll be eliminating the dust, outside pollen, dander, mold spores, and dust mites that can spark allergies, irritations and even sickness. By using an air filter, you’ll be guaranteed to not have that lingering “sick” feeling, a side effect of too much exposure to those allergy causing pests. The likelihood of the flu virus or any other airborne threats are very low when you’ve been using a high quality allergy air purifier. You won’t have to worry about any outside threats that may be brought into your home and exposed to your family from spending a day outside of your home. Many air purifiers use filters to “filter” through the toxins in the air and the surrounding environment. Filters trap the airborne particles in the device, so they are no longer being brought into your body or others. While there are other forms of purification, this is the most common and one of the best ways to compete against airborne flu viruses. As you can see, there are tons of options for high quality air purifiers, endless choices of designs, brands, and additional features. If you plan on investing in your future and your health, a great way to save time is to start by looking through the options on this list. You’ll most likely even find exactly what you’re looking for without having to waste countless hours of research which will probably lead nowhere. We’re hoping that we were able to provide the needed information you need to be able to make an informed purchase for your home. Because no matter what, we always need to take a breath of fresh air!